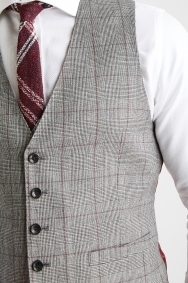 This classic waistcoat will be a timeless piece in your wardrobe thanks to its heritage checks and comfortable regular fit. 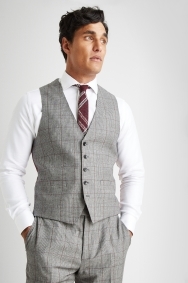 The super 130s wool is breathable and soft, and it gives the waistcoat a refined elegance. 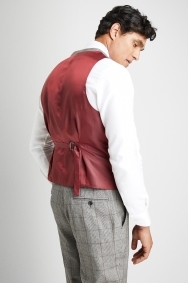 Turn around and the bold contrasting back adds personality. Good value for money . Great quality and fits so well. Great quality, loves the colour and style, only missing a star because it's original price was a bit steep for what it was we thought.